One thing I am always asked for is copyright training. From years of sitting on various professional committees I know that I’m not alone in this – librarians always want copyright training. It can be really hard to know where to start as everyone has slightly different needs so it’s best to just dive in! Working in an academic library I have become quite familiar with the CLA (CopyrightLicencing Agency) Licence which allows educational institutions to reproduce material from copyrighted materials legally. The CLA itself is a collection management organisation which provides different types of licence depending on the needs of the licence holder. Already we are starting to get into confusing territory so I thought it best to call in the experts so I arranged for a representative from the CLA to come and talk to Cambridge library staff. The obligatory warning: this post is a write up from notes taken at the above talk and does not constitute legal advice. The Licence covers books, journals and magazines in both print and digital format. I hadn’t realised that the CLA actually predates the Copyright Act by five years, having been formed in 1983 to deal with the growing use of photocopiers in schools. It’s important to realise that the CLA Licence doesn’t cover material that students copy for their own private research and study. This is an exception to the Licence as long as people are using the materials for themselves. It should be noted that this is NOT the same as using things for group study, that falls under the terms of the licence. More details on legal exceptions not covered by the CLA Licence can be found here. The Licence also excludes films or images where they are not used in published works or music. Material copied under the CLA Licence needs to be owned or subscribed to by the University to be eligible. Under the Licence material can be copied for students on a course of study e.g. a defined cohort participating in a class. Students can access the material for the rest of their degree of study, making revision easier. This access must be restricted to the ‘originally completing cohort’ – if another group wishes to use the material that means a reassessment under the terms of the Licence. Works published in the UK have an automatic indemnity – everything is available to copy unless expressly forbidden. However there are always exceptions and changes so the CLA recommends using their Permissions Checker tool just to be absolutely safe. This operates on a simple traffic light system of red, amber and green with over 90% of material being tagged as green and therefore available under the Licence. Exceptions for parody or quotation – copyrighted material can now be used for ‘parody, caricature or pastiche’ without having to obtain express permission from the author. This has to be under fair dealing (ensuring that you are using a fair amount of the work rather which doesn’t infringe on the ability of the copyright holder to make money). Further details are available here. Increase in the extent limits – under the terms of the Licence it is now allowed to copy either a defined amount (one whole chapter from a book, one whole article from a magazine/journal issue etc. ), or 10% of the total publication whichever is the greater. This is an increase from the previous amount of 5%. Articles in particular often come in at under 10% of the total publication which means that more may be copied. The changes and an overview of the Licence are available via a handy user guide from the CLA website. Virtual Learning Environments (VLEs) are possibly one reason why so many librarians have a copyright headache. Institutions need to make sure that digital material is available via secure access which is only available to staff and students and this is typically done via a VLE. The material needs to be confined to an area accessible only to those enrolled on a particular course of study. Libraries need to make sure that they are not in effect creating an online library of work accessible to all. The CLA recommends trying to use the digital format of a work wherever possible rather than scanning a paper copy and uploading this. Under the Licence single chapters of a book may be uploaded to a VLE and this can help to overcome access problems with ebooks. If a lecturer sets a chapter from an ebook as required reading this can cause issues when more users than are allowed try to read the chapter concurrently. Uploading the chapter (as long as it’s within the terms of the CLA Licence) can be helpful to students here. 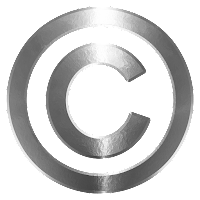 Copyright notices are required on all copyrighted material that is used on the VLE. This should include the course name, title of the work, author and publisher details. The name of a designated person responsible for copyright matters at the institution is no longer required. Any digital copies of material must be reported annually to the CLA. This is important not only as good practice but so that copyright holders can be reimbursed correctly. Material does sometimes come out of the Licence so it’s important to check that only appropriate material is included. The CLA will not ask institutions to remove any material during the year to avoid impacting student learning but it will need to be removed the following year if needed. The CLA have a new tool to help with reporting – the CLA Content Store. This is available as part of the Licence and reports automatically to the CLA. I hope the above information is useful for anyone looking to learn more about copyright. As stated at the top of this post this is not intended as any sort of legal advice (I really don't get paid enough for that!). Please use this information as guidance only and double check everything. Also if you spot any errors please let me know so I don't leave up incorrect information.